Rio de Janeiro — The political scene is horrible here. Just yesterday, I was at a debate, talking about Marx on colonialism and racism, and how fascism is growing fast here, especially with the slanders, from some of those espousing identity politics, against Marx as totalitarian, Eurocentric and colonialist. All this, in addition to the legacy of 15 years of Worker’s Party government, ended by an institutional coup d’état, is leading to the destruction — ideological and material — of the left. The big inter-class agreement promoted by the Worker’s Party since Luiz Inácio “Lula” da Silva achieved power in 2002, which included compromises with neoliberalism in social policies as the primary condition for its expansion, and the cooptation of the major trade unions and the social movements that had been organized up to then, led to the disarticulation of the traditional left. The Worker’s Party, created at the end of the 1964 entrepreneurial military dictatorship — and containing almost all Brazilian socialist tendencies — definitely couldn’t hold them all together any more. Successive splits have taken place since 1994 and the Party gradually moved closer to the center. After Lula’s two terms as president, and the first corruption scandal of 2005, the left found itself completely fragmented. At the same time, the improvement in the economy, which took place with Lula’s policy of including the impoverished masses under the credit system and mass consumption, was followed by a big wave of formal rights for women and Black people, and their inclusion in public spaces, such as universities, through affirmative action. While the traditional left was not self-reflective on issues involving gender, race, and sexuality, downplaying those debates, the major Brazilian urban centers were flooded with theories linked to identity politics and with horizontal movements, that sought to overcome the “old and oppressive left,” and to achieve respect and formal recognition for minorities, and through this, achieve opportunities for them to occupy higher social positions. Moreover, Worker’s Party government policies led to the reaffirmation of the country as a commodities/raw materials producer, the absence of a real agrarian reform, and a growing dependence on non-industrial and low-tech goods with the deindustrialization process. Along with an alliance with bourgeois and conservative parties. All of this contributed to the weakening of its social base, found mostly among trade unionists and landless peasants. The increase of a conservative mentality among the working people was therefore inevitable. Within this crisis scenario, the 2016 institutional coup that led to the impeachment of Workers’ Party President Dilma Rousseff, Lula’s successor, and the arbitrary court judgment of ex-President Lula, barring him from running again for president this year, seems to have condemned our fragile democracy to premature death. After almost 400 years under slavery and a total of 30 years under two different anti-communist military dictatorships, the Brazilian democratic tradition really doesn’t exist for most parts of the population: Black, indigenous, and poor, expropriated from everything and under a genocide that violently kills more than 60,000 citizens per year — more than half are youths (ages 15–29) and 77 percent are Black. Racism and police brutality against Black people also have played a big role in the decline of democracy. Under the so-called wars on drugs and terrorism, and with mass incarceration, people living in the peripheries and favelas have just one concern: to survive. Between January and March 2017, one in three violent deaths in the city of São Paulo had a police officer as the perpetrator! In this context, it seems that there is no space for progressivist debates. A study conducted in November 2017 — and published last week — showed that 66% of Brazilians think marijuana should remain banned; almost six out of ten believe that the country should adopt the death penalty and eight out of ten declare that the age of treating criminals as adults should be lowered to 16; 42% agree that possession of guns and firing them should be legalized; and for 57% of Brazilians, a woman who practices abortion should go to jail. Although the Brazilian parliament does not reflect the diversity of the population, since it is composed mostly of white men, in sharp contrast to the nation’s demographic makeup, it can help to explain a little bit the current scenario. At present, the Chamber of Deputies is composed by 513 deputies, who currently are separated into caucuses according their main political interests and relations: ruralists (agribusiness giants and large landowners), with 207 deputies, a vast ultraconservative evangelical group (197 deputies), entrepreneurs (208 deputies), representatives of contractors and builders (226) and the so-called relatives’ bench (238 family members of other ). For the interests of mining and weaponry industry there are, respectively, 23 and 35 deputies. Against this frightening composition – known as “The Bible, Beef and Bullet Caucus,” a mere 23 deputies defend human rights issues. As a reflection of this composition, in 2017, 42 legislative projects were put forward that attempted to reduce Indigenous rights – mostly by targeting their lands – and to loosen environmental protections in order to make room for land grabbing and the extraction of natural resources. Not for nothing, Brazil has been considered one of the most dangerous places for transgender people in the world. Half of the recorded killings of transgender people occur here. These kinds of hate crimes are increasing according to the political situation: during the Lula government, Brazil averaged 163 LGBT deaths per year; under the Dilma/Temer government, the numbers peaked to 325. This means that despite the rise of LGBT movements, the working class is becoming even more homophobic. In part, this is because there is almost no dialogue between those movements and the working people — the peasantry, the proletariat, and the “precariat”. The same reality can be seen with regard to issues related to gender and ethnicity/race: the recorded violence and killings are still increasing rapidly. Finally, Brazil is the county in the Americas that kills the most human rights defenders. 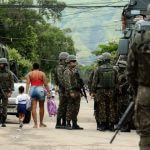 Those numbers also increased due to the political scenario: according to the Pastoral Land Commission (Comissão Pastoral da Terra—CPT), 66 rights defenders were killed in 2016, and 58 between just January and August 2017. Most of them are Indigenous people, rural landless workers, and other individuals working on issues related to the land, territory, and the environment. There is definitely a new fascist wave coming on! However, despite the dangers they face, their fragmentation and their quantitative disadvantage, grassroots movements all over the country are still resisting capitalist expropriation ever day. How long will our acts of bravery be able to continue? Rhaysa Ruas is a young Afro-Brazilian attorney, researcher and social activist based in Rio de Janeiro. Data from the Report “You Killed My Son: Homicides by military police in the city of Rio de Janeiro”, Amnesty International, 2015. Great take on Brazilian politics and how the destructiveness can be seen in different cultural facets throughout the country. Nice piece. 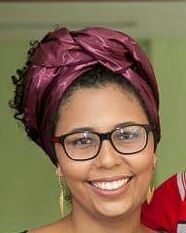 Rhaysa Ruas is a young Afro-Brazilian attorney, researcher, and social activist based in Rio de Janeiro.